A giant of the Vartai, and a legendary soldier. 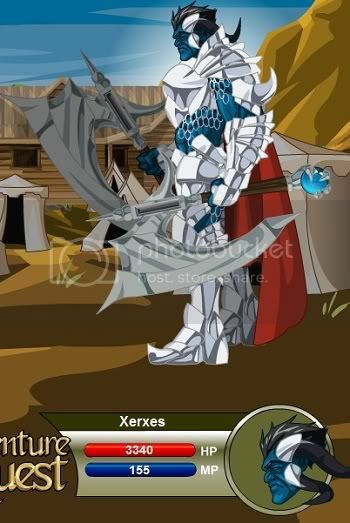 His axes are made from a rare ore that deflects magic! Stats thanks to DragonUltraMaster. Image thanks to BlackAces. Void resistance from Locos_Docos and Void Dirger. Correction thanks to Strange little dude.